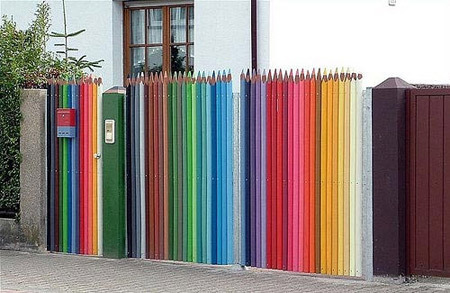 Fence made of coloring pencils. 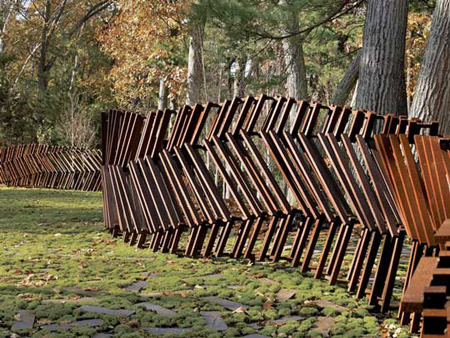 This could possibly be the most interesting/unusual fence - located in Lincoln, Massachusetts at the home of Bob Davoli and Eileen McDonagh, the fence was designed and developed by landscape architect Mikyoung Kim out of steel. 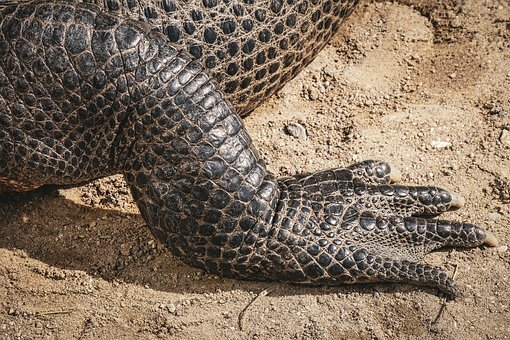 The weathered sculptural structure snakes and undulates across the property. 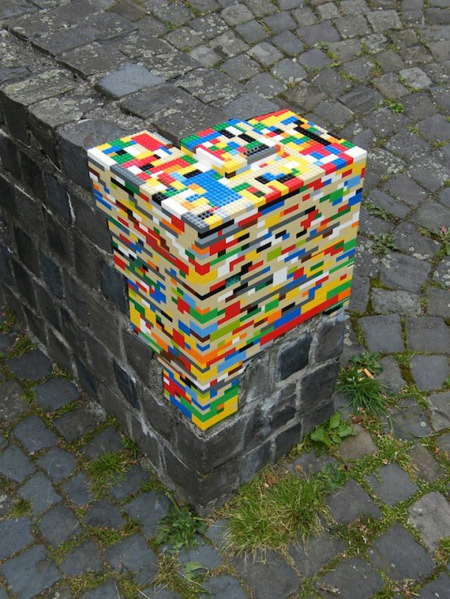 Want to fix and also give an artistic touch to your fence? What's better than Lego bricks to achieve that purpose? 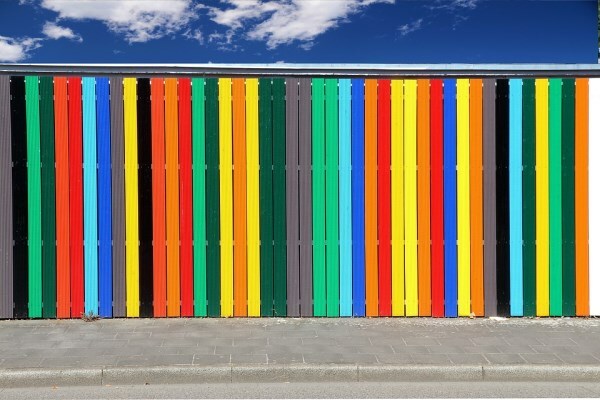 Creative fence design by Tejo Remy might help you find inspiration. 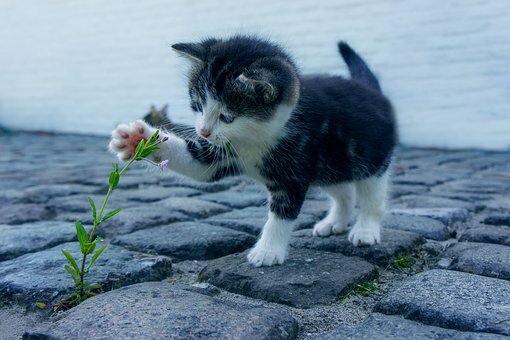 Home and garden fence can also be used as a playground. 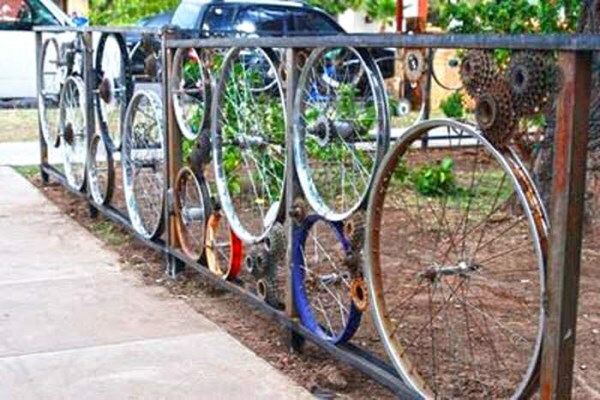 In Ithaca, NY, here's an interesting fence made out of old bicycle parts. It encloses a place that takes old bikes and fixes them up. 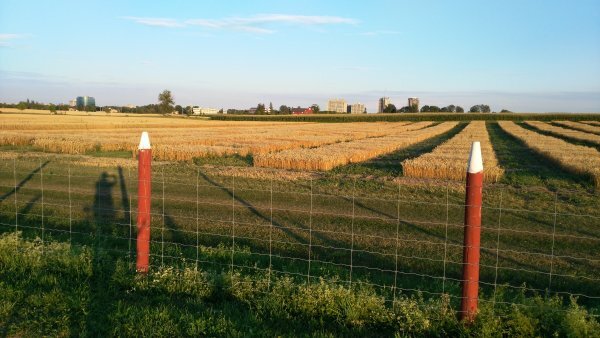 Pencil fence posts at the Experimental Farm, in Ottawa. Westminster Bridge in London.We don't know if this fence was made intentionally to project these shadows, but it's quite funny. 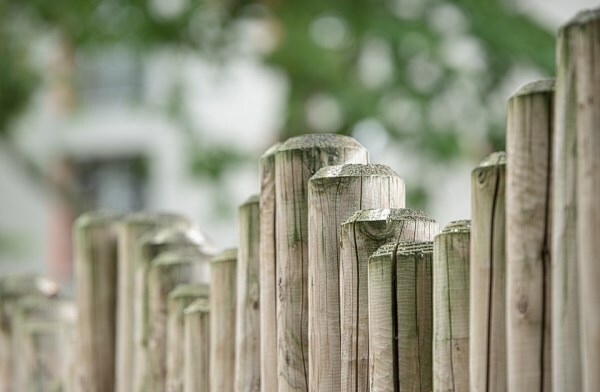 Someone has set up thousands (or is it tens of thousands) of green glass insulators on fences and poles all around and in the yard of this house in Pomona, NJ. 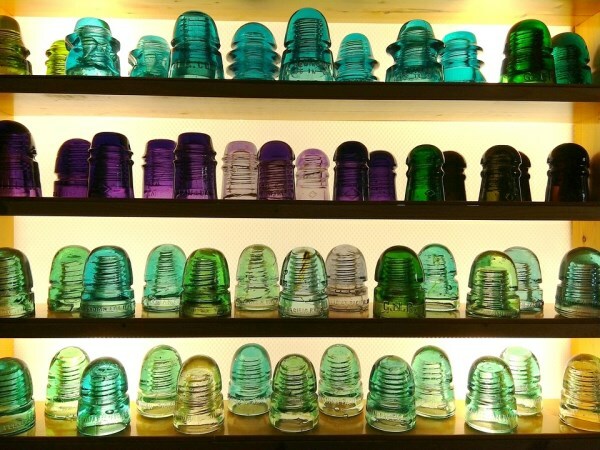 In addition to the green ones, there are also a handful of clear insulators, as well as some white and brown ceramic ones. 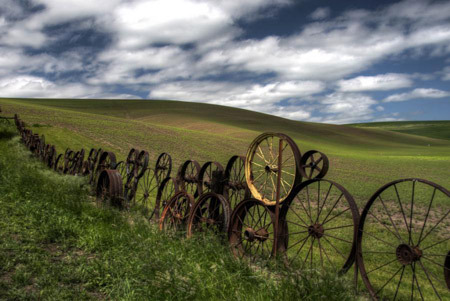 The Wagon Wheel Fence, an on-going project, is made from over 1,000 antique wagon and tractor wheels and is located in Uniontown WA along US-195. The landmark Dahmen barn, built in 1935, and the wheel fence, are being renovated. 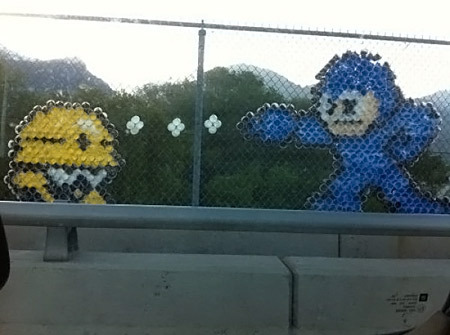 Mega Man Fence Art. Bringing videogames to places you didn't even know art could fit. 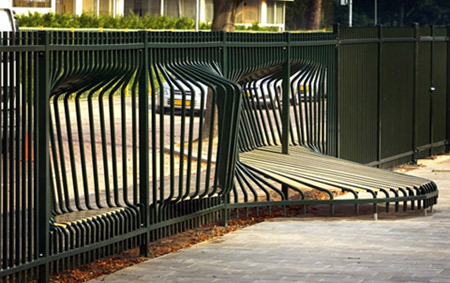 This fence looks like a rollercoaster track. 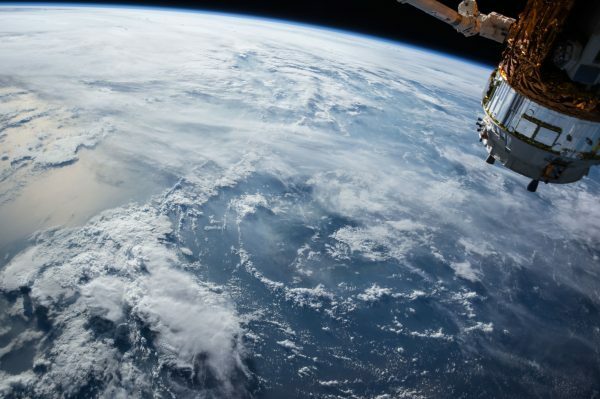 A fence, like a garage or front door, has a fairly utilitarian purpose in design. 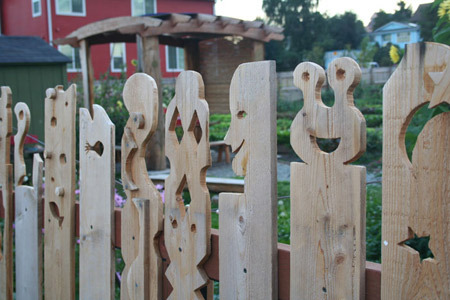 This fence at High Point tells a story in Seattle. 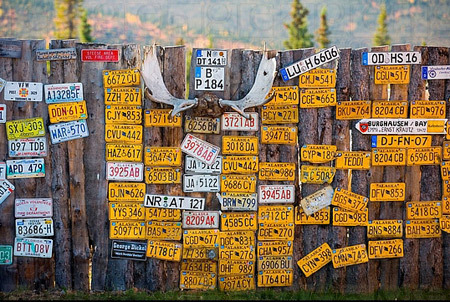 License Plates on a Fence in Boundary, Alaska. 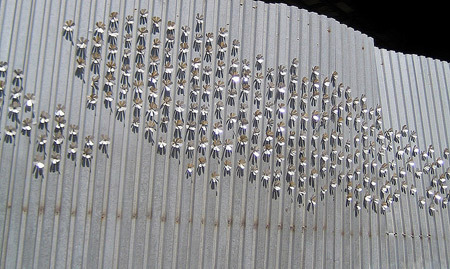 Cool fence in DUMBO, Brooklyn, NYC.